Exhibition curated by Giorgio Antei and Fondazione Franco Maria Ricci, in collaboration with the Galleria d’Arte Barbara Paci (Pietrasanta) and the Galleria Terreno Baldío (Mexico). 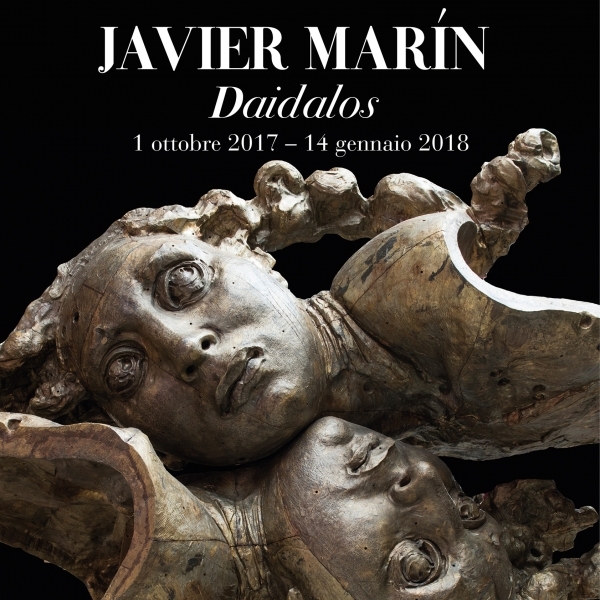 Javier Marín, a renowned Mexican sculptor, is the subject of a major fall exhibition hosted by Labirinto della Masone, which will open to the public on 1 October. In addition to the fact that it is an artistic event of the highest international level, the exhibition, entitled DAIDALOS, accentuates the link between the Mexican culture and Franco Maria Ricci, a link that over the course of the years has yielded countless fruit, from the recently published Tesoro Mexicano (currently one of the books nominated in Mexico for best book of the year in the field of anthropology and history) to the exhibition Sergio Hernández: Tres Pasiones, dedicated to the famous artist from Oaxaca. The moment has now come for Javier Marín to show his works at the Labirinto and offer proof of his important contribution to contemporary sculpture. Marín’s sculptures have been admired in countless solo shows hosted by both European and American museums. In Italy they have been showcased in Milan, Rome, and Turin, while Pietrasanta was the scene of a memorable exhibition of the artist’s large-scale works. Starting in September, a selection of the Mexican artist’s most significant works will occupy the spaces of the Labirinto della Masone. They will allow visitors to appreciate the work of a sculptor who is still relatively young (b. 1962), but who has already achieved remarkable technical skill and style, without, however, losing his taste for the quest to find ever new expressions. The Labirinto is the setting for an unpredictable exchange between architecture of Neoclassical inspiration that is part of the Masone complex and the sculptural creations in bronze, terracotta, and other materials conceived by Marín’s imagination and craftsmanship. A towering bronze knight over seven metres tall greets visitors at the entrance, while in the central court the marvellous Cabeza Roja stands out, a monumental female head that casts light on Marín’s interest in the human body, both real and metaphorical. Marín’s artistic research revolves around the human being based on his in-depth analysis of the expressive potential of different media. Like a modern-day Dedalus (hence, the title of the exhibition), the artist uses his hands to breathe life into bodies or objects previously conceived in his fruitful mind. Each creation represents the realization of a project, and this is why for Marín the process is even more important than the product. Whether right or wrong, it has been said that the starting point for Marín’s work is Mexican Baroque art: the artist appears to borrow from it the extreme poses, the sensuality, and the dynamism that characterize each of his works. The exhibition is accompanied by a Guida alla mostra, a handbook edited by Franco Maria Ricci and signed by Giorgio Antei. from 10.30 am to 7 pm.